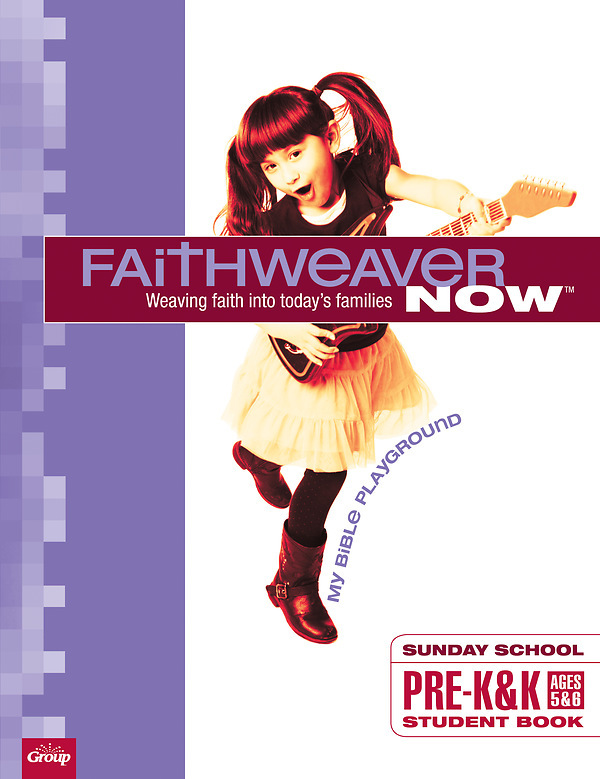 FaithWeaver NOW Pre-K & K Student Book: My Bible Playground equips you to lead memorable, life-changing lessons. 2-in-1 student books include the in-class portion on the front page and the take-home activities on the back page! Each Student Book activity helps reinforce the Bible point as kids get involved with an in-class activity. “HomeConnect®" gives kids an easy-to-do chance to spend time with parents—and reinforce the lesson again at home! "What I Learned Today" provides an overview of the lesson for the family to review together. “Daily Challenge” helps kids weave faith into life each week as they follow through on the challenge. Recommended to purchase one for each child.